Lemur-1 is a low-Earth orbiting satellite, built by NanoSatisfi Inc. (later renamed Spire), whose primary mission is a technology demonstration of several science payloads hosted by a 3U CubeSat. In addition to technology demonstration, LEMUR-1 carries two Earth-observation payloads. Its primary Earth-observation payload is an electro-optical imaging system, operating in the visible band with a ground resolution of approximately 5 m. Its secondary payload is a low-resolution IR imaging system, with an approximate ground resolution of 1 km. Lemur-1 was deployed from the Italian UniSat 6, which in turn was launched aboard a Dnepr launch vehicle operated by Kosmotras. 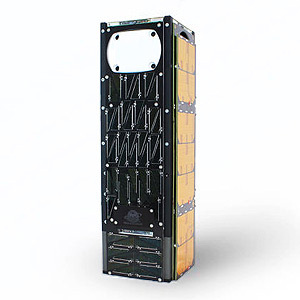 Lemur-1 serves as a prototype for a larger constellation of more than 50 Lemur-2 satellites.